The simplest explanation? 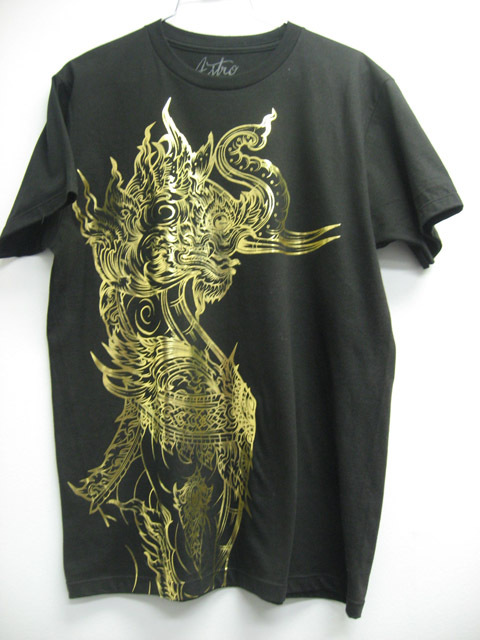 Discharge ink is a water based product that is formulated to deactivate the dyes used on natural fabrics. 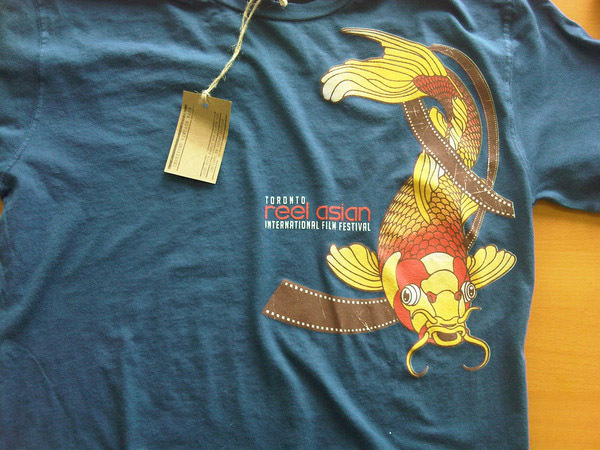 You have probably seen many shirts with a very soft print that looks like the color of natural cotton – this is discharge printing. 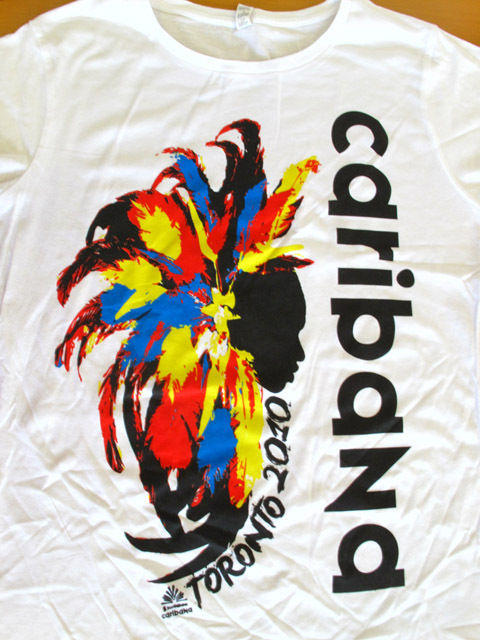 Discharge screen printing can be used to print colors on dark garments that in the past would have required an additional layer of white ink in order to achieve proper opacity of top colors. 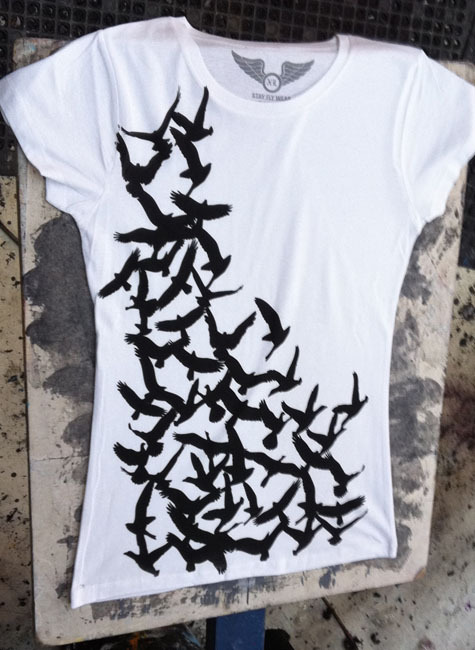 Looking for a way to make your shirts pop? 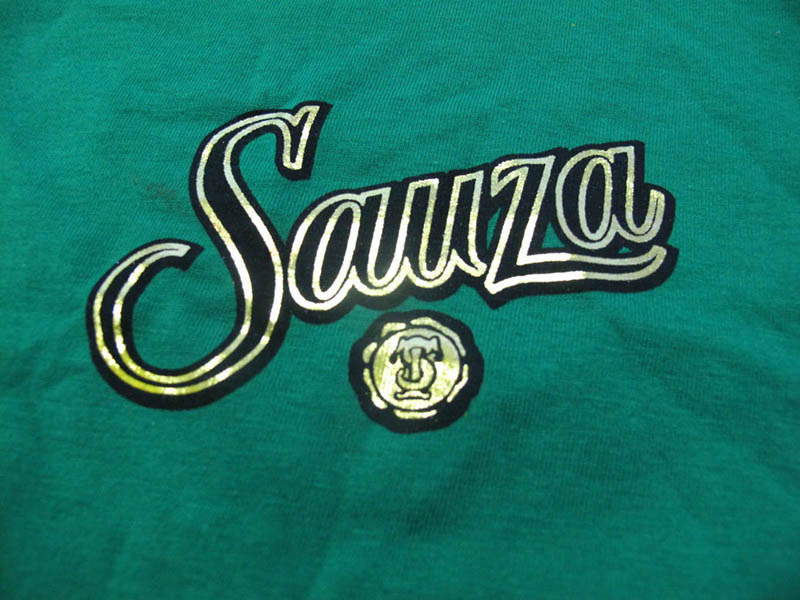 Foil printing is a two part process that involves printing a layer of adhesive on the garment, curing it like normal ink and heat pressing a sheet of foil onto the adhesive. 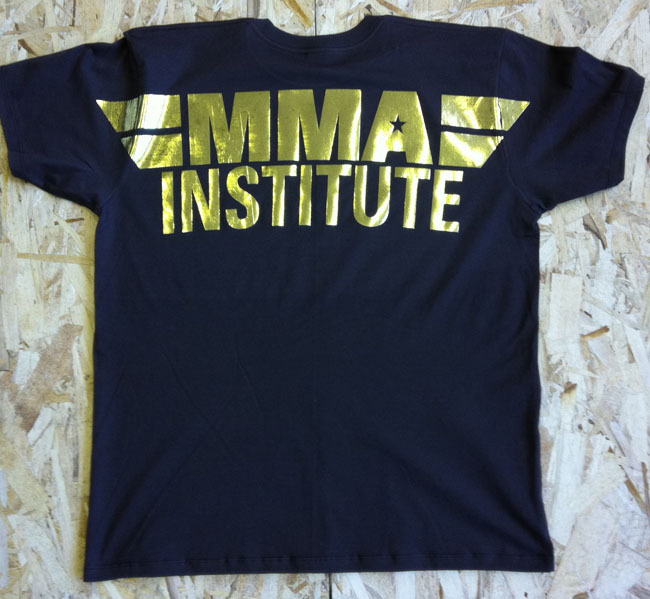 We carry Gold, Silver, Green, Bronze, Black, Red, Blue, Pink, Rainbow & Purple foil. Try to find that variety at your local print shop! When you art sending file for print, all files must be at least 300 dpi or Vector Format. Always design your art to the final print dimensions you require. Providing low-res art will result in a low-res looking print. Always feel free to contact our art department for tips and tricks. Always remember to convert your text to outlines. 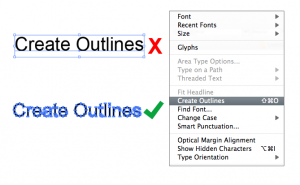 If you are using Adobe Illustrator just select your text that you want to convert > Go to ‘TYPE’ > Choose ‘CREATE OUTLINES’. 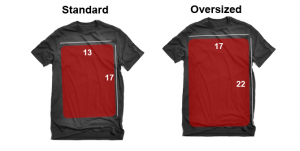 Standard print size on a mens shirt is 13×17 and Oversized is 17×22. These numbers change depending on the garment. Visa, Mastercard, debit, email money transfer, cheque and paypal. Other factors such as design services or special requests can also affect the cost. Why are multiple placements more expensive? Each location requires a completely new screen setup and production run. Think of each location as being it’s own individual job. Feel free to send us artwork so we can take a look at and figure out how to print it as big as possible. Most of the time it is 17″ x 22″. Can I request samples of my apparel before printing? Yes, you can. However, we must charge you for blank samples we provide. As an alternative, consider making an appointment to view our showroom. Our experienced sales reps can help narrow down your search by showing you all your options at once. 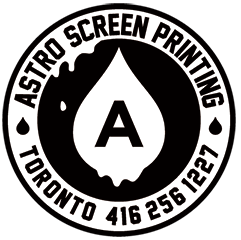 The easiest way to submit orders is email printer@astroscreenprinting.ca. You can also call us at 416.256.1227. Do you require a deposit or my order? 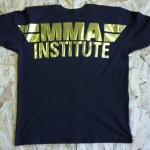 We will require 50% of the total order to be paid before garments are ordered. 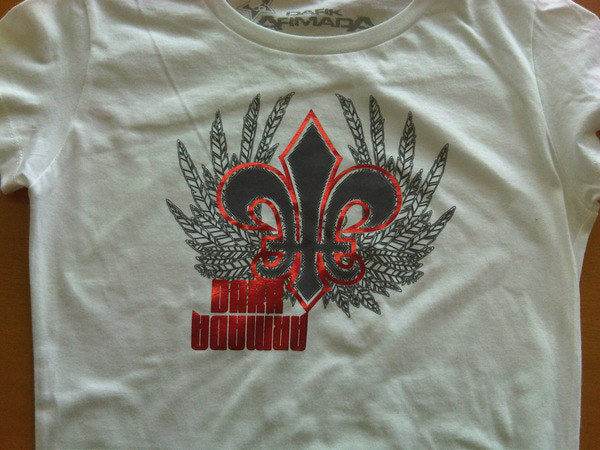 After that 50% is paid, we will get your order into production and the remaining 50% is to be paid on delivery/pickup. What is the minimum quantity of shirts i can order? Our minimum is 24 pieces. 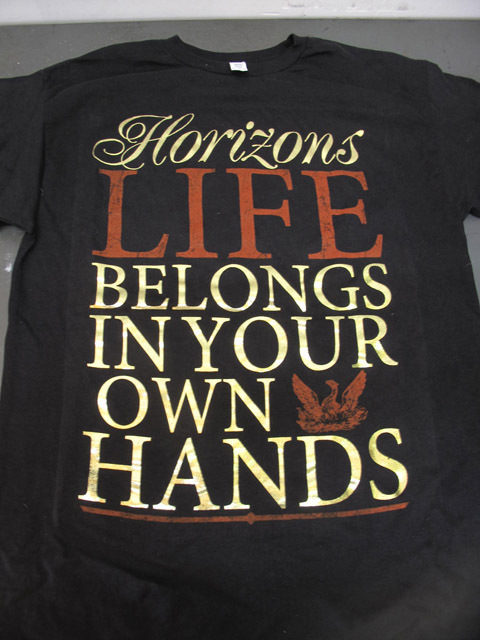 This is because it takes the same amount of time and labor to prepare the artwork for screen printing, produce the screens and set up the press to print shirts. 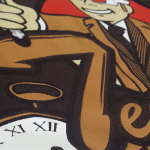 By ordering the minimum you may be limited to print size and amount of printed colours. 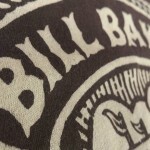 You may also mix and match garment styles within the 24 pieces, but the logo itself must be produced a minimum of 24 times for us to create a price quote for the job. Astro Screen Printing has an extensive ink stockpile. 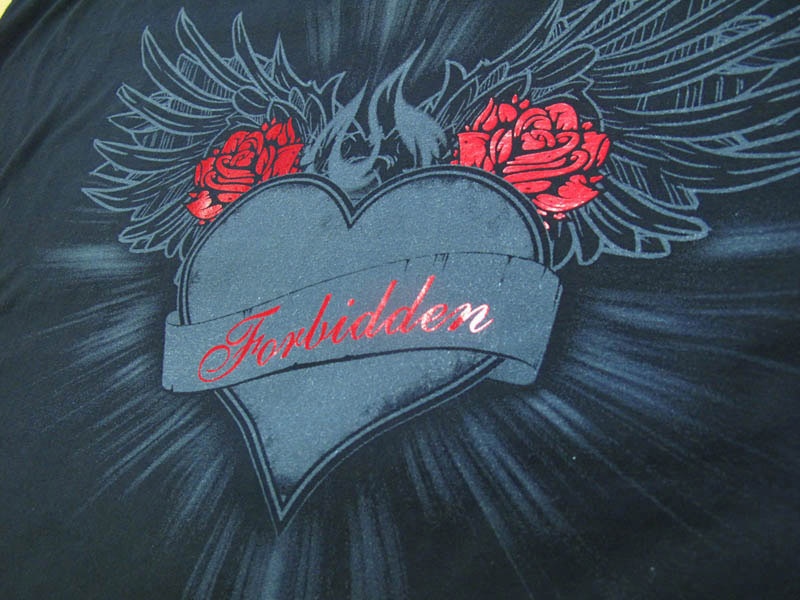 Just to include some of what we have: metallic inks, shimmer inks, glitter inks, puff inks, glow-in-the-dark inks, discharge inks and water based inks. Specialty inks require additional pricing requirements. 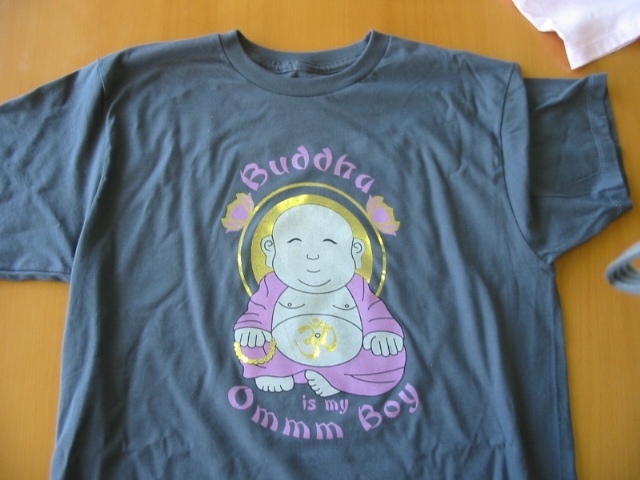 What kind of merchandise do you have available to print on? In our showroom we have blank garment catalogs with hundreds of apparel choices to choose from. 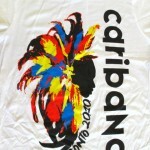 They include all major imprintable apparel brands and has options from tees, to pants, to bags, koozies etc.! 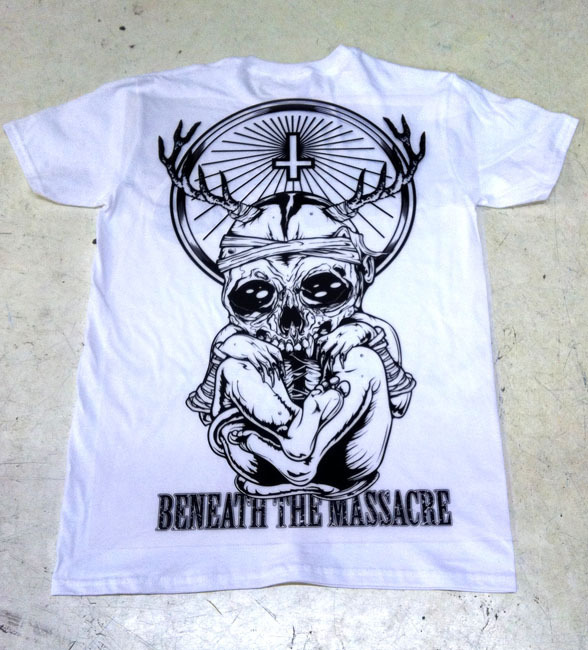 Brands featured include American Apparel, Bella, Canvas, Gildan, Alstyle, Alternative Apparel, Jerico & more. You can also swing by our warehouse and our sales representative would love to walk through our samples and help find that perfect garment for your project. What if I have my own garments? Can you print on those? Yes, but Customer Supplied the minimum number of pieces is 50pcs per design. What is the difference between CMYK and Simulated Process? 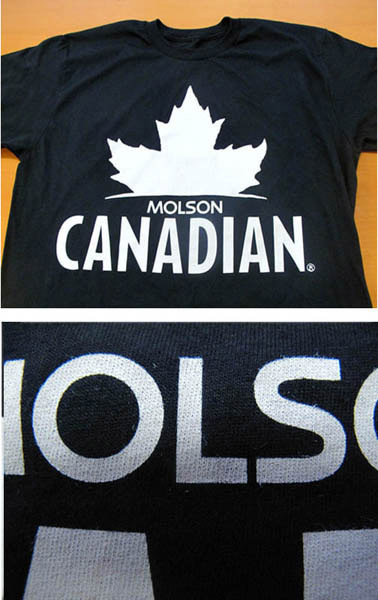 Simulated Process printing is similar to CMYK and is capable of producing very photo-realistic images with a high amount of detail. It uses traditional spot colors, yet blends them in a four-color process manner, simulating full color images. This process works very well on both light and dark colored garments. The ink color count for simulated process jobs are often in the five to ten color range, therefore making it the best process for higher quantity runs. Every shirt starts in its natural color cotton, it’s then dyed into your shirt color. 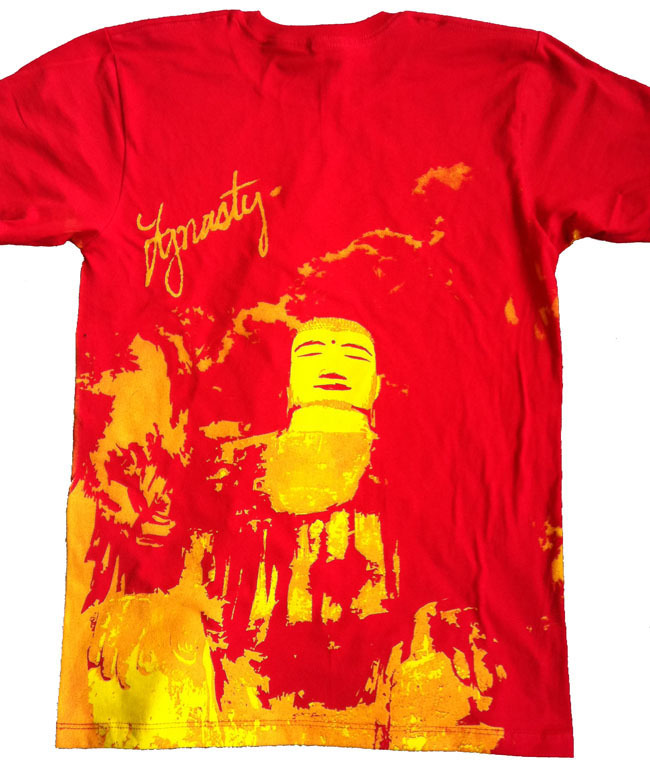 Garment dyes used when dying Kelly Green, Royal Blue, Red and Turquoise shirts are often stubborn to discharge printing. 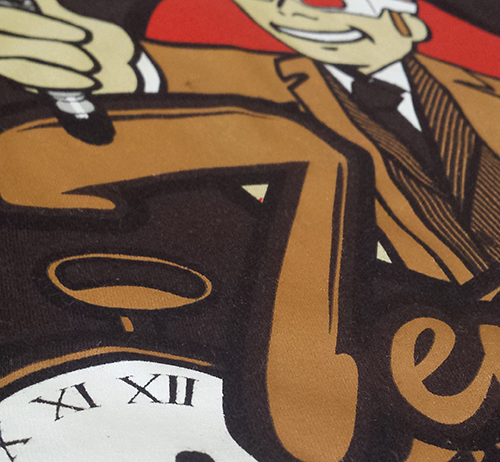 This is why we recommend using our Fashion Soft (Vintage) ink when printing on these colors. You can save a lot of cash when you minimize the amount of colours in your design. Think about minimizing your number of print locations as well. 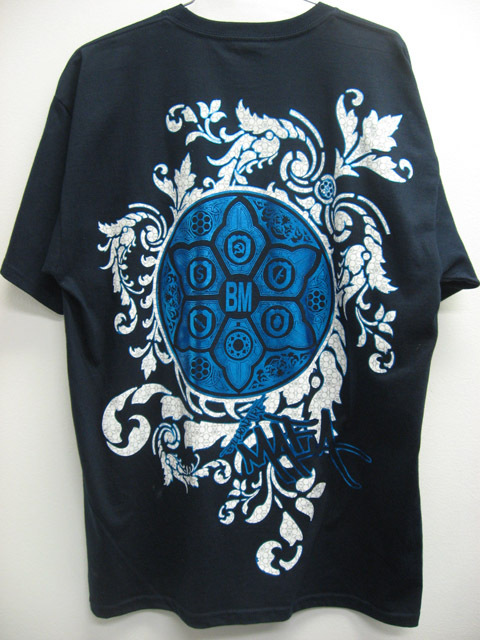 An added back print or sleeve print will raise your per piece cost. Feel free to ask us how you could save more money. We primarily reference the Pantone chart for all our color mixing and matching. 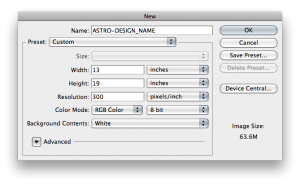 Using programs like Photoshop and Illustrator will give your accurate Pantone or PMS colours. A solid investment would be to purchase your own Pantone book. When you print over a zipper, pocket or seam it creates an inconsistency, because these are thicker portions of the garment. 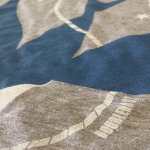 When you print over these portions of the garments, it creates a gap in the print where the ink from the screen does not touch the shirt due to the ridge caused by the seam. Thats when your print starts to get ‘globby’.